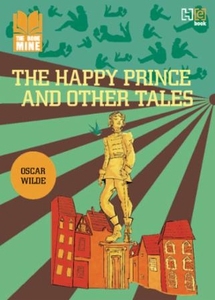 Oscar Wilde is at his imaginative best in this wonderful collection of fairy tales. The five stories include 'The Happy Prince', 'The Selfish Giant', 'The Nightingale and the Rose', and 'The Devoted Friend' and 'The Remarkable Rocket'. The stories have become popular classics and adapted in all kinds of audio-visual media. The stories about unhappy princes, mean giants, a sacrificing nightingale, a devoted friend and a self important fire cracker, have become material for bedtime tales. And at each story's heart lies a simple lesson in an important human value.